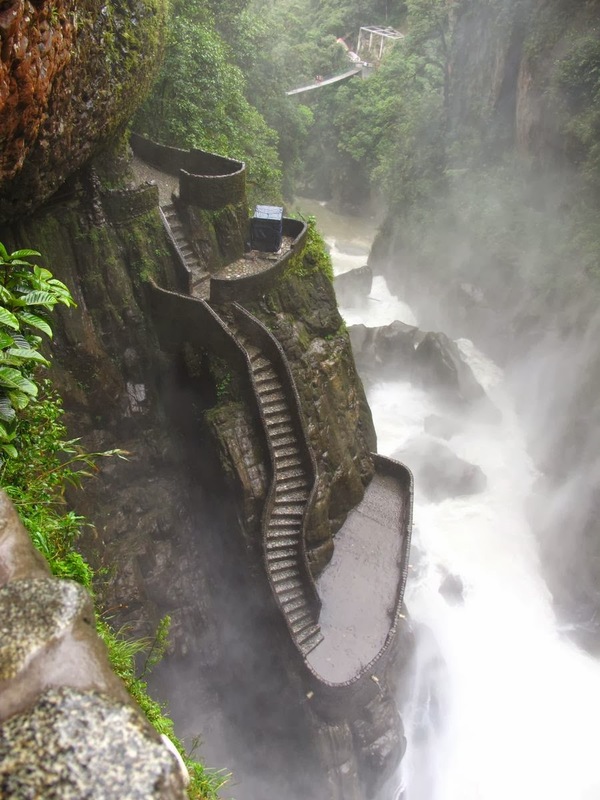 The Pailon del Diablo waterfall is one of the top five waterfalls of Ecuador and is on the “ruta de las cascadas”, the waterfall route, between Banos and Puyo. Located on the Pastaza River, Paílón del Diablo is a fairly large waterfall just 30 minutes away from the town of Baños in Ecuador. It is considered to be one of the most popular attractions in the area.